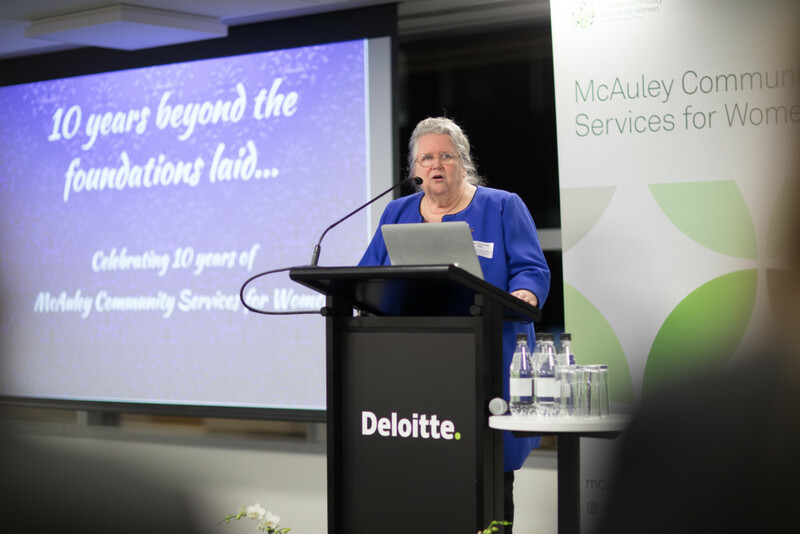 McAuley Community Services for Women (MCSW) has marked ten years with celebrations that gave thanks and honoured the sisters, staff, clients and all of those who supported the organisation in its first decade. In her August ‘CEO Message’ Chief Executive Officer, Jocelyn Bignold reflected on the commemorative activities and her thoughts as MCSW celebrated this significant milestone. Our ten-year anniversary celebrations this month were a chance to look back, with pride and gratitude, at how far we have come. It was also an opportunity to focus our energies on what is ahead. 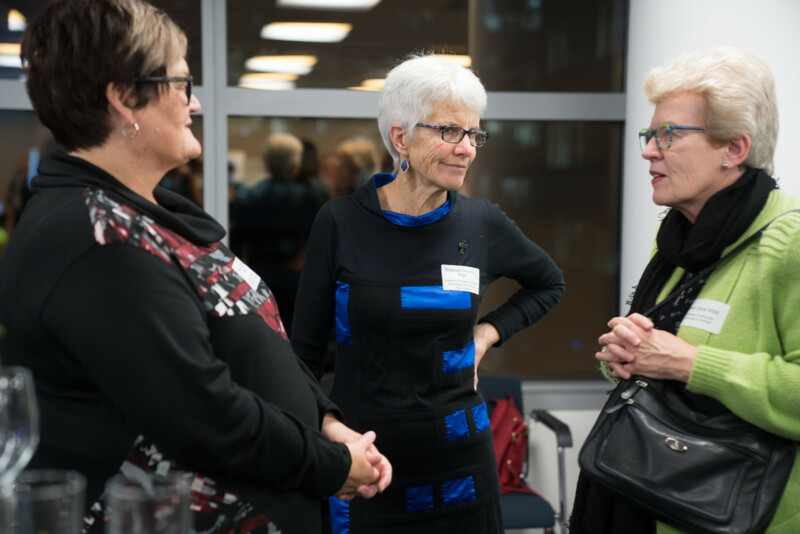 We were celebrating the milestone of ten years of the formation of McAuley Community Services for Women, but at every point we also honoured the legacies of the two organisations – Mercy Care and Regina Coeli – which merged to become our present organisation. At a morning tea held in our new McAuley House, our staff celebrated alongside the women and children we’ve supported over that long history. It was a privilege to host many Sisters of Mercy, who had taken a gamble on the decision to merge the two organisations; many of them had never seen the beautiful new facility and were delighted to see the progress that has been made. Our anniversary cake was cut by two of the original Board members who oversaw the establishment of McAuley, Anne Ryan RSM and Nicole Rotaru RSM. We also heard a spontaneous and heartfelt speech from Anna, a woman who 29 years ago first found herself in Regina Coeli – then a dormitory-style refuge for homeless women in North Melbourne. Anna was addicted at the time to heroin and had been living on the streets; on her first night there she was unimpressed, convinced she was in the wrong place and didn’t belong (she was also bemused to see nuns in ‘civvies’ as she expected them to be in full habits!). But she ended up staying five years, kicked the drugs, and has maintained her connection with us ever since – a testament to the sense of community which is one of our McAuley hallmarks. The same day we held an event to celebrate the contribution of our partners, donors and supporters. Again, our past and present came together as we heard from Sr Eileen Ann Duffy about how Mercy Care – Victoria’s first safe house providing round-the-clock support for women and children who were escaping family violence – was established through the vision, inspiration and sheer doggedness of Sr Sheila Heywood. But the spirit and passion for justice of Sr Sheila had another ripple effect which she undoubtedly would have revelled in. When the Minister for Housing and Mental Health Martin Foley spoke at our event, he acknowledged that the teachings of the Mercy Sisters had a profound effect over his own early development of a ‘moral compass’– and he fondly remembered the influence of none other than our own Sr Sheila, who was principal at his primary school St Macartan’s Parish Primary School, at the time. The Minister also announced at our celebration the very welcome news that we now have security of funding for our 24/7 service for the next four years. For the past ten years, we have had to devote time to raise this money through cocktail parties and other events. 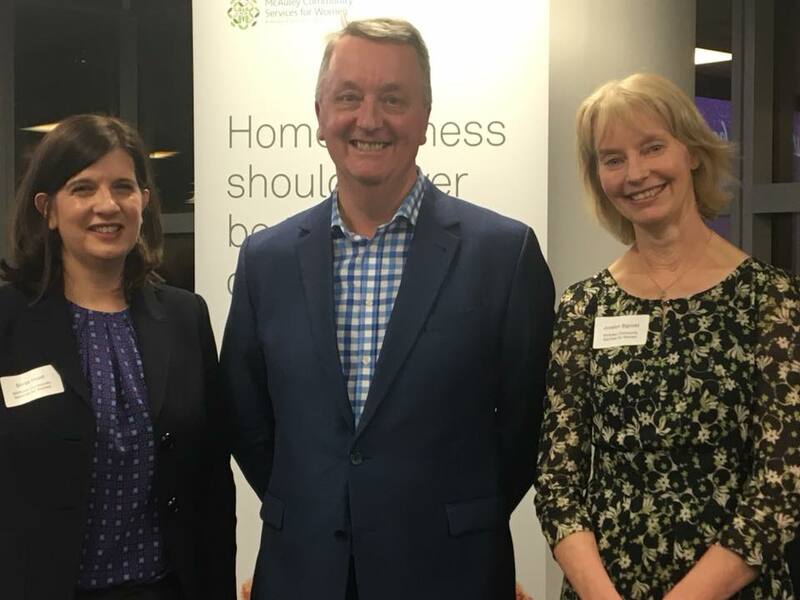 While that support has been phenomenal, it is a relief that we can move into the future knowing that the basic core of our family violence work – providing a haven for women and children whenever it is needed – is secure. In further good news, we are delighted to enter into a new partnership in Ballarat with the Institute of Sisters of Mercy and Mercy Health. This will enable McAuley to provide transitional housing for eight women in a property owned by the Institute. We will also be providing support and employment opportunities to women in the area.These are exciting times, and we value your continuing support as we move into our second decade. 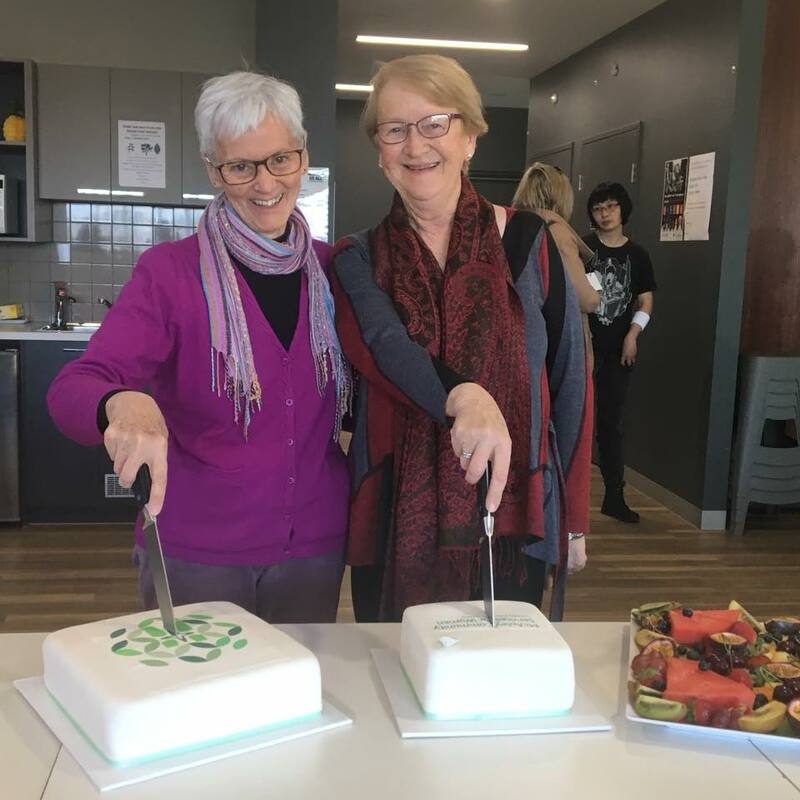 Two of the MCSW Board members, Nicole Rotaru RSM and Anne Ryan RSM, attend a morning tea to celebrate a MCSW milestone and cut the 10th anniversary cake.